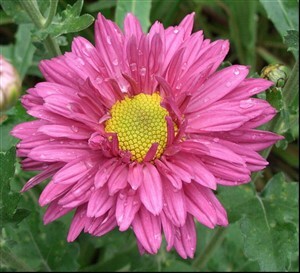 Chrysanthemum 'Alison's Dad' Another very rare Oct. Nov. flowring plant with large semi-double rich, bright pink flowers. Different enough to be merit inclusion in any border and a colour which is so welcome late on. Reliable and hardy.